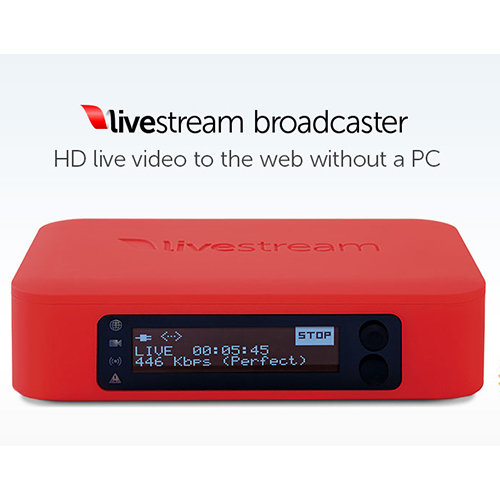 The Livestream Broadcaster is an HD live broadcasting device that works seamlessly with the New Livestream service to deliver the industry’s first affordable unlimited ad-free HD live streaming end-to-end solution. 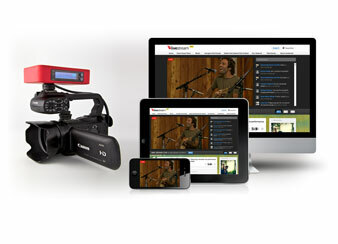 Event owners and producers can use the Livestream Broadcaster as a desktop encoder connected to a multi-camera video production switcher, or as a battery powered (via three enclosed AA batteries) portable wireless encoder mounted to a camera and streaming via Wi-Fi or a USB 3G/4G Wireless Modem. Control the Livestream Broadcaster on the device itself or remotely from anywhere in the world via the Livestream website, or via the Livestream for Producers iPhone app. Cameras connect to the Broadcaster via the HDMI video input (including HD 1080i, 720p, and SD 480p). 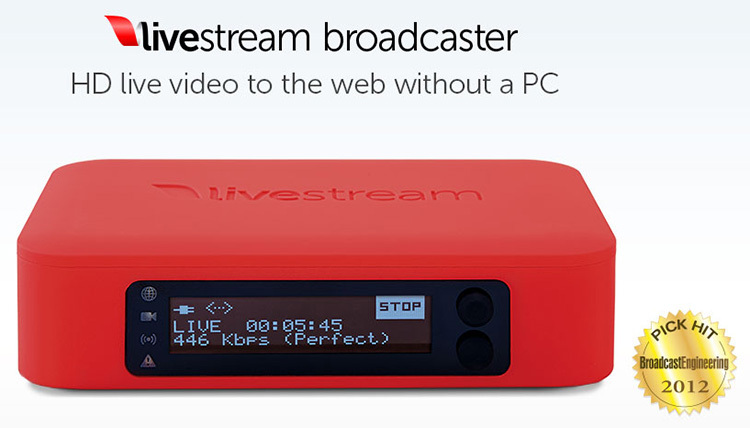 The Livestream Broadcaster encodes real-time in high quality H.264 video and AAC audio at up to 2.3 Mbps. HDMI audio or line in (3.5mm jack) audio input are provided. Accessories for the Livestream Broadcaster are now available for purchase. These accessories include stabilizing grips, various mounts, and additional shoe adapters.